Edmonton Tires support the weight of the car and form the only contact between the vehicle and the road. Understanding tire wear and tear helps vehicle owners invest in the right tire services for their requirement. What are the different types of tire wear and how are they caused? As the name suggests, centre tire wear implies that the tire has worn down in the middle area. 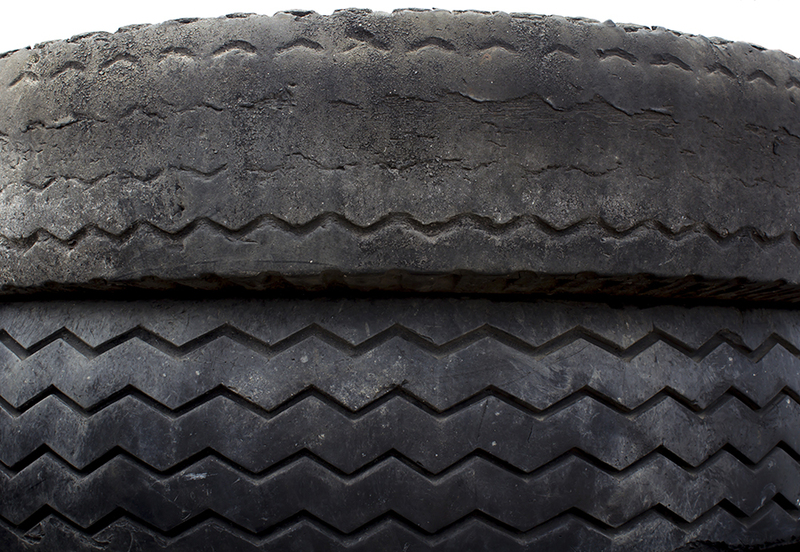 If you examine the tires closely, you will notice that the sides of the tire retain their treads while the centre appears to be a smooth strip of rubber. One of the main causes of centre tire wear is over-inflation. Excess pressure causes the centre to bulge and the tire tends to ride on the bulge. This is why the centre wears down faster than the sides. Consider taking your car to a popular auto shop in Edmonton for the best tire care. When the sides get worn and the centre area retains its treads, this is referred to as ‘shoulder wear’. This is the result of under-inflated tires; when the pressure is low, the sides of the tire tend to maintain contact with the road. Have the tire pressure properly and professionally inspected at a top Edmonton car repair shop. Feathered tire wear is when the treads become unevenly worn out; they develop rounded edges on one side and sharp edges on the other. Feathered tire wear can be identified by feeling the tire with your hand rather than visually inspecting it. The main cause of feathered wear is high speed cornering which results in rough road-tire contact. Investing in high grade tires with stiffer sidewalls is a good way to minimize feathering. Seasoned professionals at Edmonton tire shops can help you select the best tires for your requirement. Understanding tire wear and tear helps vehicle owners invest in the right tire services for their requirement. December 23rd 2014Car Maintenance Tips - How To Keep Your Car Clean?2014-12-23 09:00:00Buy either a small trash bag or a trash can and keep it in your car. This prevents wrappers or other junk from spreading in your car. June 05th 2014Why Work with Tire Dealers in Edmonton for Your Tire Maintenance2014-06-05 09:00:00Working with reputable tire dealers in Edmonton ensures that you get a professional�s eye and knowledge on your side. March 25th 2014When You Need to Get New Tires and Other Vehicle Maintenance and Repairs2014-03-25 09:00:00The best option is to ensure that your vehicle maintenance is being handled by a professional who can keep an eye on your tire wear.